Interesting straw poll in big-selling 'Segodnya' website. Who would you like to see in the prime minister's chair? 56% respondents proposed Yatsenyuk, 37% 'another candidate', and 7% said Groysman..
Кого бы вы хотели видеть в кресле премьер-министра Украины? "When young democracy criminalizes political disputes, it won't long stay a democracy. See Russia, Yanik's Ukraine..."
p.s. Also this fascinating brief CNN interview with brilliant young journalist, Ben Judah about Putin's weird, saddo lifestyle..Can such an isololated man make rational decisions? AP now provide the most detailed account to date of the shooting down of Malaysian Airlines flight MH17, in this report. Their journalists happened to be on the spot last week when it occurred. It is almost certain the highly trained crew that operated the Buk M-1 missile system used in the fatal attack were from Russia. Their monumental error was the result of the crew having to depend on moronic separatists who identified their target. The Buk crew and their separatist collaborators had been seen by AP journalists wearing distinctly differing camo outfits. Your humble blogger lives on top of a hill. On summer evenings he likes to watch the con trails of high-flying aircraft while sitting in the garden. Sometimes, in order to identify the aircraft and their destination, together with family members we get this readily available data from www.flightradar24.com website in a matter of seconds. 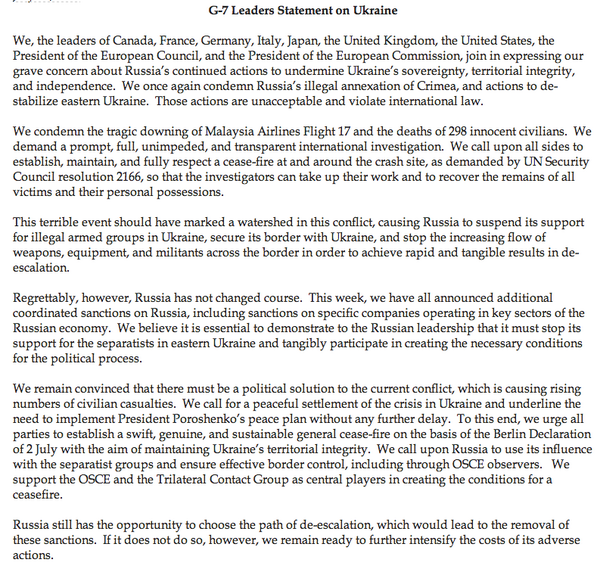 Some pompous commentators who should know better claim: "The downing of flight MH17 was clearly an accident. " ..shame on them. p.s. Is the the delay by AP in posting of this story due them submitting all their information to appropriate aviation investigative bodies, and agreeing to 'sit tight for one week' before publishing? ".. the Russians intend to deliver heavier and more powerful multiple rocket launchers to the separatist forces in Ukraine, and have evidence that Russia is firing artillery from within Russia to attack Ukrainian military positions,"
There are some reports that a latest generation 'Tornado' Multiple Rocket Launcher has crossed into Ukraine from Russia already. This is a fearsome weapon: "It is equipped with a single container with six launcher tubes for 300-mm rockets, which can fire all current Smerch rockets, including HE-FRAG, incendiary, thermobaric, cluster with anti-personnel or anti-tank mines. Cluster rounds may also carry self-targeting anti-tank munitions. The 800 kg standard rocket has a maximum range of 90 km. A range and direction correction system provides better accuracy compared to its predecessors. The 9A52-4 can launch rockets singularly, by a partial ripple or by a full salvo, which can cover an area of 32 hectares. A full salvo can be fired with 20 seconds. The 9A52-4 launching vehicle can be reloaded within 8 minutes. Launcher pods designed for use with 122-mm and 220-mm rockets. The weapons system is equipped with an automated laying and fire control system, along with an autonomous satellite navigation and positioning system." 'Grad' MRL's are now regularly being employed by separatists, [e.g. as videoed by a passer by here]. There have been reports in the media of 'Grad' and other weapons systems being deployed from inside Russia against Ukrainian forces for several days now. Despite this, today Ukraine's armed forces gained control of the strategically important town of Lysychansk. Relieved residents hope 'the nightmare will soon end'. A mass grave has been found in the city of Slavyansk, recently re-taken by Ukrainian military as pro-Russian separatists fled, Information Resistance reported, citing the TV station TSN.ua. "In Slavyansk, I met with the group for the Interior Ministry's criminal investigation department. They discovered a burial ground with civilians of Slavyansk who had been tortured to death. There were dozens of them. They were tortured, stabbed, and burned alive. Now there are witnesses to all of this," said Yury Lutsenko, advisor to the president on TSN. In recent weeks there have been reports in Western media and by human rights watchdog Amnesty International of kidnappings, torture and disappearances in Slavyansk and other towns in southeastern Ukraine under control of pro-Russian separatists. Ukrainian forces have also been alleged to mistreat detainees." "Three days ago I, as mayor [of Donetsk], was given an ultimatum. It was demanded of me not to engage in providing for the welbeing of citizens' life, but to provide the military needs of the Donetsk People's Republic, at the expense of [the city's] residents. All this time I have strove to establish a dialogue for a peaceful resolution of the conflict, but it was directly declared to me that the DNP military is not interested in peace initiatives. I do not accept this ultimatum. Last week I met with the President of Ukraine twice. I discussed a whole number of important issues concerning the welbeing of the city. I remain a supporter of the peace talks, because I understand what war means for a city of one million residents. Unfortunately, my position does not allow me to remain in Donetsk, because if I do, there is a possibility of my physical elimination. I am in Kyiv and intend to defend the interests of my native city to change the situation, from here. I will return to the territory of Donetsk at the first opportunity. I sincerely regret that today I can not be in the city and hope for a speedy resolution to this terrible conflict." Lukyanchenko has always been very popular in his home town - known for getting things done. His decision to leave will be cause of much regret amongst Donetsk residents. The DNR leadership, until they seized power, where totally unknown in eastern Ukraine. They have virtually no grass roots links there at all. They are stealing money, payrolls, automobiles, etc. from locals, turfing them out of their homes. Support for them is evaporating. The forced flight of Lukyanchenko and many other fearful Donetsk citizens will only speed up this process. "present the best products of its aircraft and rocket and space industries at the Farnborough International Airshow 2014, which begins in the London suburb of Farnborough on Monday and will last through July 20. "This year the Russian exposition occupies 1,738 square meters. Seventy-four organizations will deploy their stands, and 16 of them, including seven participants in military-technological cooperation, will demonstrate military hardware: OJSC Rosoboronexport, OJSC Sukhoi Company, OJSC Russian Aircraft Corporation MiG, OJSC Ilyushin, OJSC Oboronprom, FSUE Gas Turbine Research and Production Center Salut and OJSC Ural Optical and Mechanical Plant (UOMZ),"
But a couple of days ago 'representatives from Russia were not given visas to enable them to travel to this year’s Airshow because of the "Russian government’s actions in the Ukraine"
This is exactly to response European countries should be should be giving. Mayor of Donetsk, Aleksander Lukyanchenko is a well-respected servant of the city's residents. He has been elected by them to his position as head of the city council on no less than three occasions. He previously worked for decades in the city's technical services department and knows Donetsk inside out. During the current troubles Lukyanchenko and his staff have done their utmost to make life for Donetsk residents as normal as possible and they have kept the city's essential services running in the most trying of circumstances. Now the so-called Donesk People's Republic leaders, Russian citizens Igor Strelkov and Alexander Borodai, are demanding Mayor Lukyanchenko declare on what side he is on - on the side of the DPR, or the side of the government of Ukraine. The DNP leadership say if he is not prepared to do this, he will be replaced. They also graciously promised, "not to shoot Lukyanchenko if he refuses to co-operate". Such statements will cause local support for the DPR to wither away even more quicky. Locals know who truly has their interests at heart. A dozen or more Maidan activists managed to climb over the fence. They had been demanding Akmetov make clear who he supports - the Ukrainian state...or the Donetsk People's Republic separatists..Two of the activists took a dip in Akhmetov's swimming pool. Several weeks ago a demonstation took place outside Akhmetov's mansion in Donetsk. Demonstrators were a whisker away from inviting themselves in...Akhmetov left him the city for reasons of personal safety. Akhmetov's security cannot be guaranteed in western countries. He could be linked to the alleged crimes of his old pal, former presidentViktor Yanukovych, that are currently under international investigation. Akhmetov's power is haemorrhaging and room for manoeuvre dwindling. "Why is the EU so hesitant about sanctions? In Berlin political circles well-informed sources say that highly placed Russian diplomats openly threatened that Russia will feel completely free to march straight into Ukraine in the event of serious sanctions ... If this is true, it explains so much, "
It also explains the Russian military 'hokey-cokey' on Ukraine's borders...and would be a natural corollary to Putin's delusions about Ukraine. What they are saying to the Germans is if you apply painful sanctions you will be co-responsible for the destruction and killings that will occur in the event of invasion..